Natural Radiation on Mars is much higher compared with Earth. The thin atmosphere provides only a small shielding effect against harmful solar radiation and cosmic radiation. Mars also lacks the magnetosphere that protects Earth. Occasional solar flares produce particularly high doses. Some Solar Proton Events (SPEs) were observed by MARIE that were not seen by sensors near Earth due to the fact that SPEs are directional. Astronauts on Mars could be warned of SPEs by sensors closer to the Sun and presumably take shelter during these events. This would imply an Early Warning System (possibly a network of sensors in orbit around the sun or a single sensor in Lagrangian point L1) might be needed to ensure all SPEs threatening Mars were detected early enough. Cosmic radiation comprises 85% protons, 14% alpha particles, and 1% heavy ions. Solar radiation includes the same radiation types, but it a higher proportion of protons and its heavy primaries have lower energy levels. The high-energy heavy primaries in cosmic radiation can penetrate materials that effectively block lower-energy radiation. 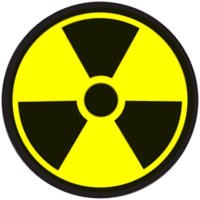 Exposure to dangerous levels of radiation causes radiation sickness and cancer. Any exposure to radiation, no matter how slight, poses some risk. Small dose - small risk of cancer. High dose - high risk of cancer. Nevertheless, there are defined legal limits for exposure during work for several professional activities, such as for X-ray assistants, airplane personnel, etc. The International Commission on Radiation Protection recommends that occupational (work-related) radiation exposure be limited to 50 millisieverts (mSv) per year, and limited to 100 mSv over any 5-year period. NASA's radiation dose limits for astronauts are established in NASA-STD-3001. The equivalent dose rate from cosmic radiation on Earth's surface at sea level is 0.26 mSv per year. Based on measurements made by the Curiosity rover, the corresponding figure for the surface of Mars is approximately 230 mSv/year. Curiosity also measured the temporary increase in radiation during a single SPE. The results indicate an increase in equivalent dose rate of approximately 25% over a 1-day interval. This figure will vary depending on the intensity of a particular SPE. There is scientific uncertainty surrounding the health hazard from cosmic and solar radiation, because most past research on the health effects of radiation studied only x-rays and gamma rays. Radiation can change the properties of plastics and metals, making them brittle after a period of time. Habitats should be equipped with a radiation shielding, thick enough to reduce the radiation to a level equal to Earth, that is, almost zero. Best protection may be achieved with houses built in natural caves or set into cliffs or hillsides. Space suits must be designed with radiation in mind. The suit should provide adequate shielding for the occupant. It may be necessary to design suits with several grades of protection. Suits designed for short-term use can carry lighter shielding which would reduce weight and improve maneuverability. During severe radiation events, such as solar flares, surface settlements may use storm shelters with heavier than normal shielding. The use of g/cm2 can be translated into an equivalent thickness that depends on the material density. For martian regolith at 2000 kg/m3, a thickness of 1m of regolith is 200 g/cm2. Water (or ice) is 100 g/cm2. What is the required thickness of a water layer upon a house for radiation shielding? ↑ 8.0 8.1 NASA, Tony C. Slaba, Christopher J. Mertens, and Steve R. Blattnig Radiation Shielding Optimization on Mars , https://spaceradiation.larc.nasa.gov/nasapapers/NASA-TP-2013-217983.pdf, Apr 2013. This page was last edited on 21 April 2019, at 10:43.